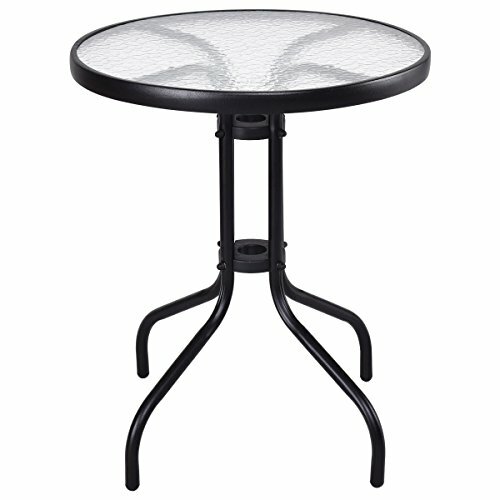 This Glass round table is perfect for your outdoor space, It is made of glass and durable painted steel, which makes this table more sturdy and stable, You can enjoy a cup of tea at the swimming pool side or in the courtyard, This glass round table can also be a fine decoration of your home. WEATHER RESISITANT: High temperature tolerant ,UV resistant and waterproof Tempered glass table. View More In Coffee Tables.